 Visit one of Auburndale’s beautiful parks or facilities with over 420 acres of land for your leisure and enjoyment. LAKE MYRTLE SPORTS COMPLEX 905 LAKE MYRTLE PARK ROAD(approx. 4.5 miles N on Berkley Rd from Hwy 92 in Auburndale)The new Lake Myrtle Sports Complex features five (5) colligate size baseball diamonds, 10 soccer fields and one (1) championship soccer stadium. Concessions, restrooms and drinking fountains are available. The Complex is also home to Polk County Tourism and Sports Marketing, Florida Youth Soccer Association, and Polk County Sports Hall of Fame. Grills, pets and alcoholic beverages are prohibited. DOWNTOWN CITY PARK EAST PARK STREET (Downtown Auburndale in the center of town) The park parallels East Park Street in Downtown Auburndale. It features playground equipment for children of all ages. Swing sets, bench swings, MegaTower, Tot area and more. Restrooms and drinking fountains are available. Picnic areas are also available on a first-come-first served basis. Grills, pets and alcoholic beverages are prohibited. DEPOT (CENTENNIAL) PARK WEST PARK STREET(Downtown Auburndale across from Civic Center)The park parallels West Park Street in Downtown Auburndale. It features strolling sidewalks a covered train tressels for picnics. Our newest park for special events planned throughout the year. Picnic areas are also available on a first-come-first served basis. Grills, pets and alcoholic beverages are prohibited. HISTORIC BAYNARD HOUSE MUSEUM 208 WEST LAKE AVENUE This beautiful historic home that once belonged to one of Auburndale’s founding fathers is now a museum that can be toured by appointment and is also open several times throughout the year for special city events. The home was built in 1894 and is decorated in its era.Take a step back in time, visit the Baynard House by calling (863) 965-5545. REV EARL WRIGHT NEIGHBORHOOD PARK 300 BRIDGERS AVE. This is a neighborhood park, one of several situated throughout the city, featuring playground equipment for children of all ages. The park also has seating, swing benches, restrooms and plenty of shade trees throughout. Grills, pets and alcoholic beverages are prohibited. LAKE ARIANA PARK 2215 ARIANA BLVD The newest park within the city, this is the former Auburndale Municipal Beach (Max Beach). Revised to be a green park, picnic tables are available and sidewalk system for strolling the beautiful grounds of Lake Ariana. Restrooms and drinking fountains are available. Grills, pets and alcoholic beverages are prohibited. CENTURY BLVD NEIGHBORHOOD PARK 3091 CENTURY BLVD (Off of Lake Hart)Another of the neighborhood parks for easy access to those who may not have transportation to the larger downtown park. Playground equipment, seating with swing benches and plenty of shade trees. At present there are no restroom facilities at this park. Grills, pets and alcoholic beverages are prohibited. TROPICAL ACRES NEIGHBORHOOD PARK 3009 RIETER DRIVE (Off Berkley Road)The third of our neighborhood parks situated on the west side of the city, the park also features seating for those wishing to sit and enjoy nature and the shaded playground. At present there are no restroom facilities at this park. Grills, pets and alcoholic beverages are prohibited. LAKE DICKIE PARK LAKE DICKIE DRIVE (off of Bridgers Avenue) Lake Dickie Park features parking, a walking trail and seating around the lake. This is a small lake located close to downtown in residential area. No playground, fountains or restrooms are available. Grills, pets and alcoholic beverages are prohibited. AUBURNDALE/TECO TRAIL 318 DENTON ROAD (off of Berkley Road)The trail features miles of shaded nature for walking, biking or rollerblading. Along the way there is a fitness course for those more active. Pets are allowed only when leashed. NO motorized vehicles allowed unless for maintenance purposes. The trail is connected to the Van Fleet Trail system which begins just above the I-4 overpass. BRIDGERS AVENUE PARK 100 Bridgers Avenue (Next to the Auburndale Library)A passive park with a picnic shelter, water fountain, swinging park benches and a walking trail. Located behind the Auburndale Public Library, this park does not have playground equipment. Great for reading outside after checking out a library book! The park is used for outdoor library activities, outdoor movies and several special events throughout the year. Grills, pets, and alcoholic beverages are prohibited. AUBURNDALE DOG PARK 318 DENTON AVENUE (Off of Berkley Road) The Dog Park is located a few hundred yards north on the Auburndale Trail from the trail head. It is situated to the left of the trail. It features exercise and play equipment for your pet. The park is separated for small and large dogs. Doggie clean-up products are provided, i.e. bags and disposal receptacle. Please obey the posted rules of the park for the safety enjoyment and well being of your pet. Grills, and alcoholic beverages are prohibited. LAKE STELLA GAZEBO & PARK LAKE STELLA DR & MAIN STREET This small lake is just off the center of town. A walking path surrounds the lake that is lush with trees, landscape, wildlife, and park benches. Just up from the lake is a small park used primarily for small wedding ceremonies. A white gazebo is the center of focus with plenty of park seating. To reserve this Gazebo and the associated facilities check the availability by clicking here. This park is situated at the back lawn of the Baynard House. Grills, pets, and alcoholic beverages are prohibited. PRACTICE FIELDS 90 BENNETT STREET This open space lighted area is mainly used for youth football practice, restrooms are available. Call Parks & Recreation for more information (863)965-5545. BRIDGERS BASEBALL FIELDS & BASKETBALL COURTS 300 BRIDGERS AVENUE This complex is home to (2) fully lighted adjustable outdoor full court basketball courts, (2) baseball fields one is for Junior League and the other for Senior League. Spectator seating, team dugouts, restroom facilities, water fountains and a concession stand are all available. Seasonal rec ball as well as tournaments are held at this complex. Grills, pets, and alcoholic beverages are prohibited. For registration details call (863) 967-8776. SKATEBOARD PARK & RACQUETBALL BOBBY GREEN PLAZA Located near the downtown park is a fully equipped skateboard park. Helmets and knee protection should be worn, no bicycles allowed in the park or on equipment. A four court racquetball facility is at the same location. For information on hours of operation and to rent a court, call the Cindy Hummel Tennis Center at 965-5544. Grills, pets, and alcoholic beverages are prohibited. SPIVEY LITTLE LEAGUE COMPLEX 720 HAMPTON STREET This complex is home to (3) three little league baseball fields. Spectator seating, team dugouts, restroom facilities, water fountains and a concession stand are all available. Seasonal rec ball as well as tournaments are held at this complex. Grills, pets, and alcoholic beverages are prohibited. For registration details call (863) 967-8776.